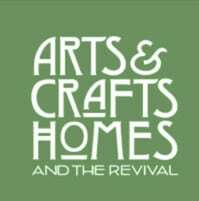 Tweaked to align with the new owners’ preferences, a builder’s house gets an Arts & Crafts makeover with oak woodwork, stained glass, mosaic tile, and soothing colors and textures. Plush walls upholstered in green linen dampen noise in the dining room. 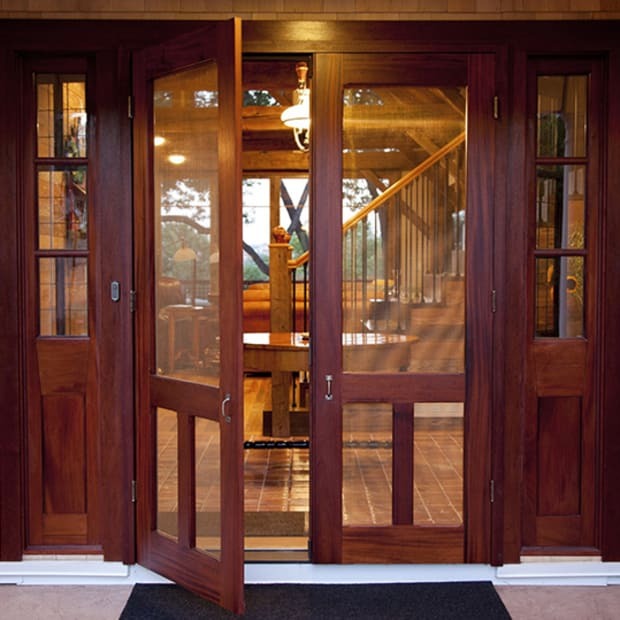 Reissued Stickley furniture is part of the owners’ collection. The horizontal window is made up of three stained-glass panels by Pompei & Company. Finding enough room in the right old house in the suburbs of Washington, D.C., was proving impossible. 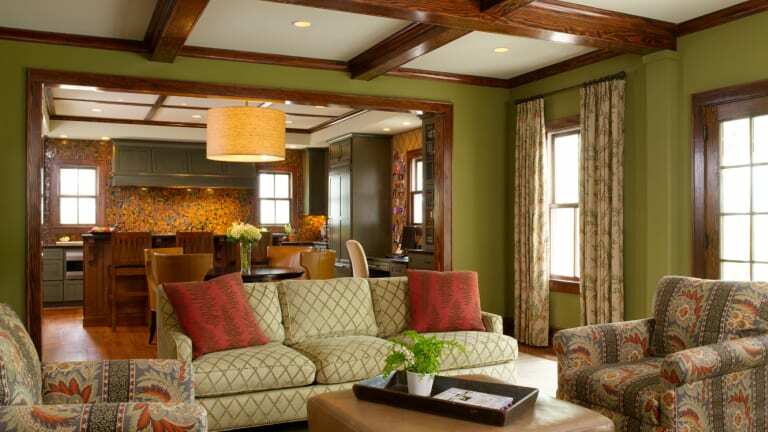 “The advent of twins meant they couldn’t stay in their previous house,” says interior designer Shazalynn Cavin–Winfrey of SCW Interiors in Alexandria. Her clients considered building a new house to suit their needs. A few deft upgrades add period charm to a generic builder’s house that had a pleasingly steep, street-facing gable and unobtrusive dormers. 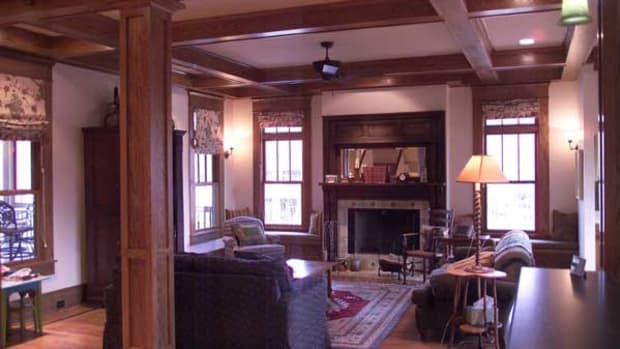 Having long collected Stickley and Arts & Crafts furniture, they wanted an Arts & Crafts house. To their delight and relief, a perfectly ordinary builder’s house might just fit the bill: With design help from Cavin–Winfrey, they were able to turn a newly built, 5,000-square-foot, two-and-a-half-storey house into a modern bungalow. The steeply roofed gable end faces the street. 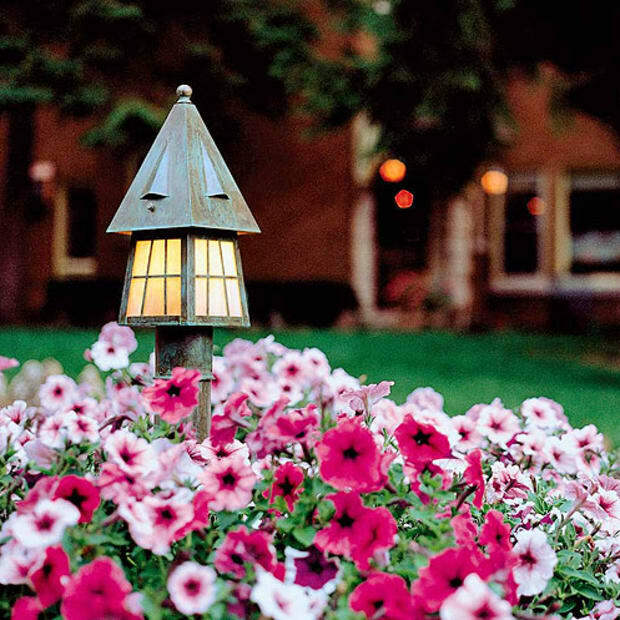 A pair of crepe myrtles flanks the front walk and anchors the dooryard garden. A broad porch wraps around the front and one side of the house, its tapered columns sitting on brick piers in Arts & Crafts fashion. The front door opens to a traditional layout: the dining room is at left, the living room is at right, and the kitchen and family rooms stretch across the back. The second floor holds four bedrooms, the top level two more. The main space flows from family room through a wide doorway to the breakfast area and open kitchen. 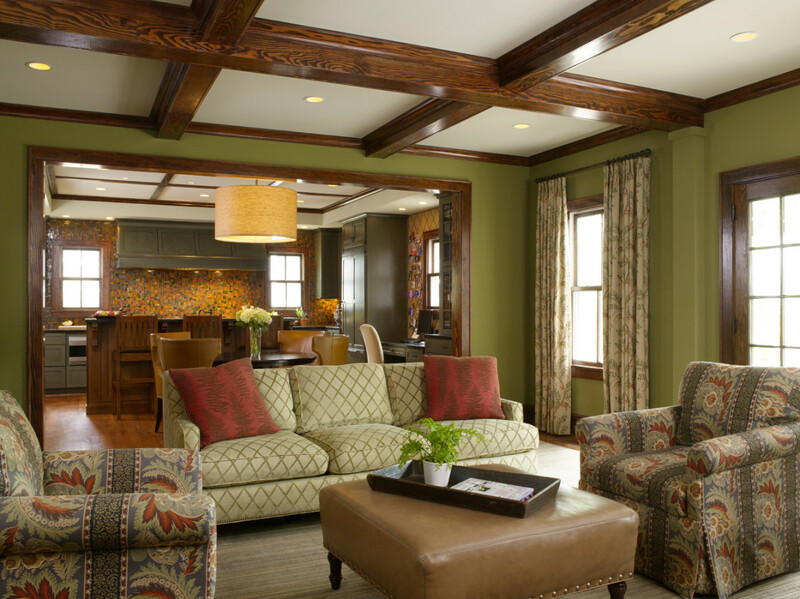 For the family-room walls, for example, she chose a saturated shade of green, with a paler tint applied to the beamed ceiling. The dining-room walls, too, are green, but here the col or comes from linen fabric upholstered to the walls and used at the windows. 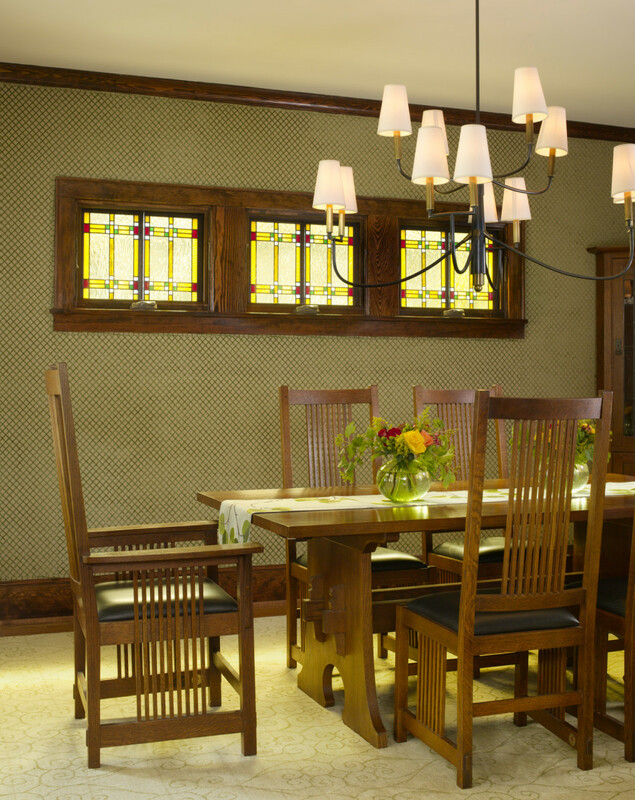 Three custom stained-glass panels in an Arts & Crafts design form interior windows on the wall above the table. The vintage Prairie settle and a pair of Limbert tabourets (small tables) are part of the owners’ collection. 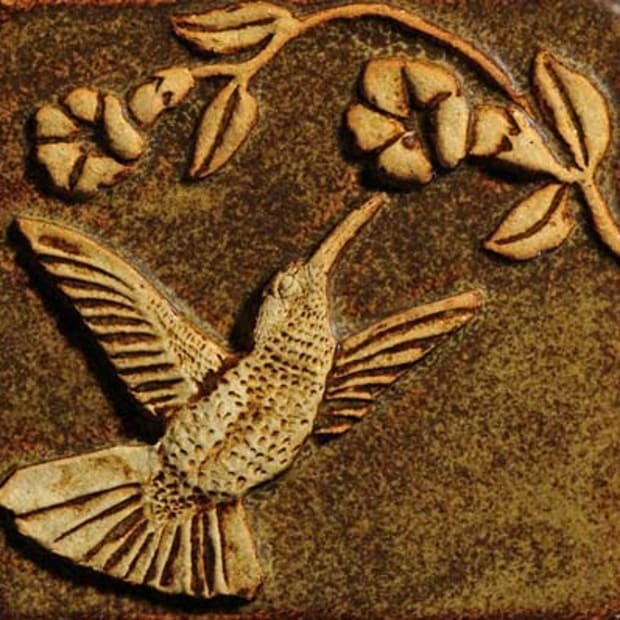 The fireplace tile is by Trikeenan. The designer used grasscloth with a natural-color weave against a red background for living-room walls. 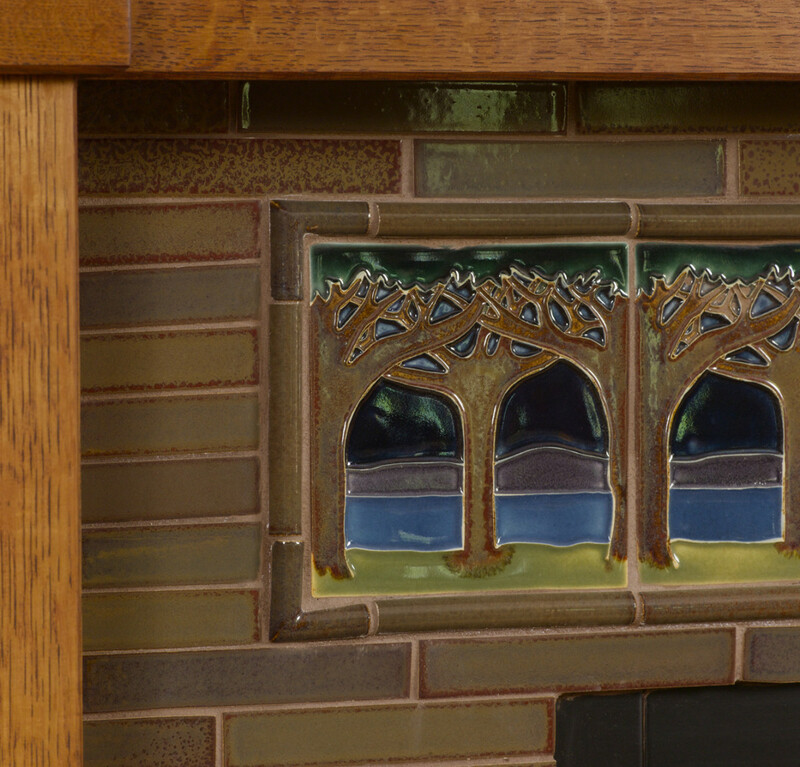 She chose oak for the mantel and Arts & Crafts revival tiles for the fireplace surround. Simple Roman shades reinforce the room’s underlying red tones. The kitchen is separated from the family room by a wide doorway, so the cabinets wear a soft green stain that flows from neighboring green walls. 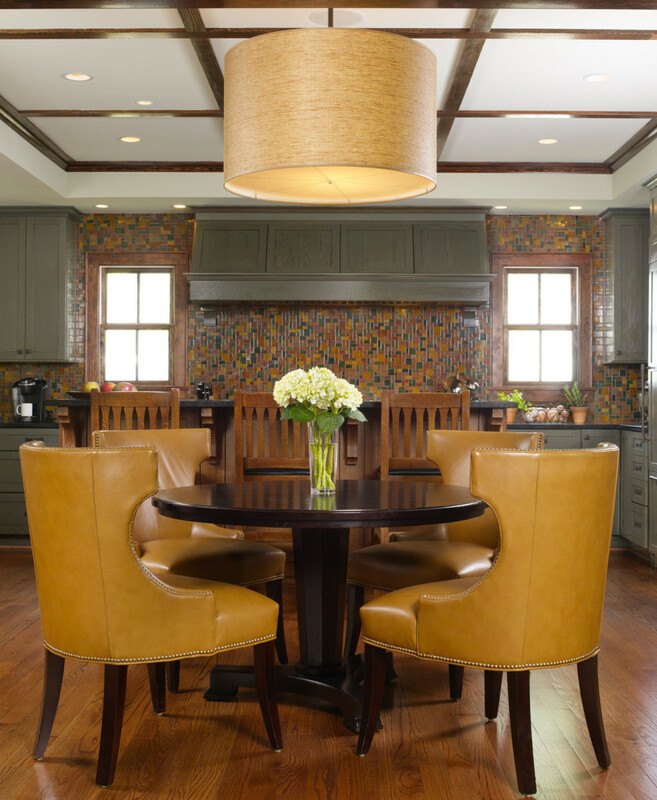 Outfitted with honed black-granite counters, an apron sink, and a backsplash wall of mosaic tile, the room extends to a home-office alcove with quilted gold walls. Gold reappears on the leather-covered wing chairs de signed by Shazalynn Cavin–Winfrey. Kitchen cabinets based on Arts & Crafts-era design were stained a muted green. 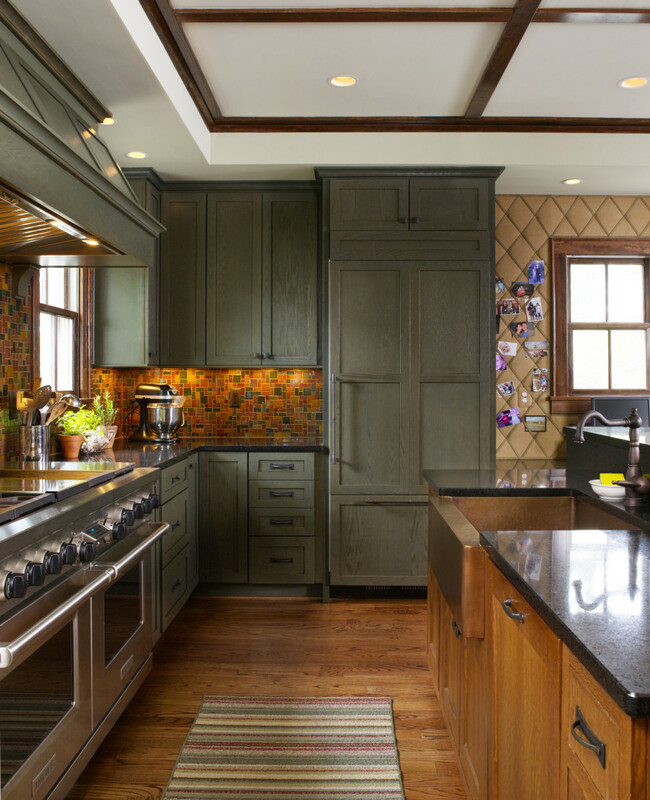 Honed black-granite countertops, bronze knobs and pulls, and a big apron-front sink add period sensibility. 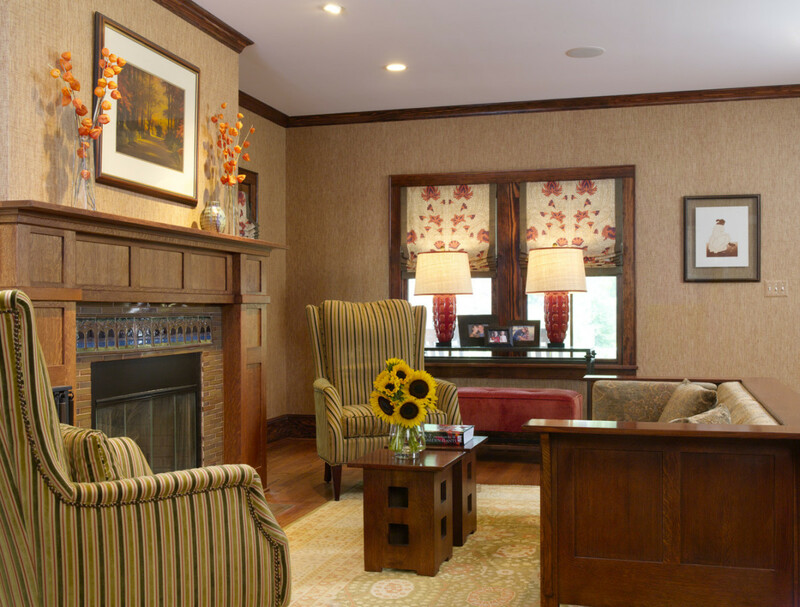 The master bedroom is furnished with a Stickley bed and side tables. Soft green on the walls, a wool needlepoint rug, and the contemporary sofa bring tranquility; Roman blinds and a pelmet over the bed are made up from pale-green fabric with a fern motif. A room in the finished basement is the children’s domain. Outfitted as a colorful and practical playroom, it has a merry personality driven by the delightful wall covering—an indoor–outdoor fabric. 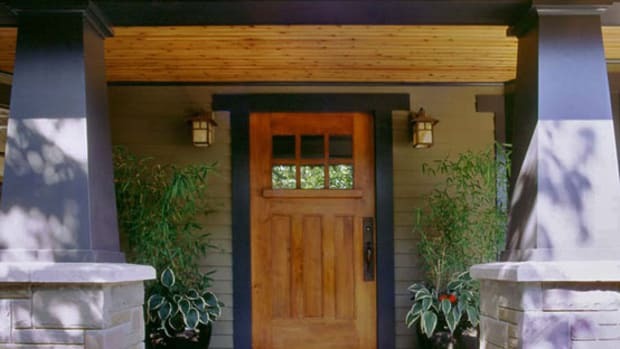 Like so many bungalows and Craftsman homes, this one is comfortable for everyone. Saturated color rules in the open but cozy kitchen, starting with the colorful mosaic tile (by Trikeenan) and gold leather on the contemporary wing chairs. Oak strapping in the recessed kitchen ceiling defines the area. In this new Craftsman-inspired house, interior designer Shazalynn Cavin–Winfrey deftly shows how period furniture may be paired successfully with contemporary pieces. Upholstered furniture with clean lines, much of it designed by her, is harmoniously used in rooms otherwise furnished with reproduction Arts & Crafts oak. The trick is to be aware of proportion and scale, Cavin–Winfrey says, and to remember that the oak wood is indeed a color in the scheme. She points out that architectural elements determine the dominant style of a house or a room; furniture is ephemeral. 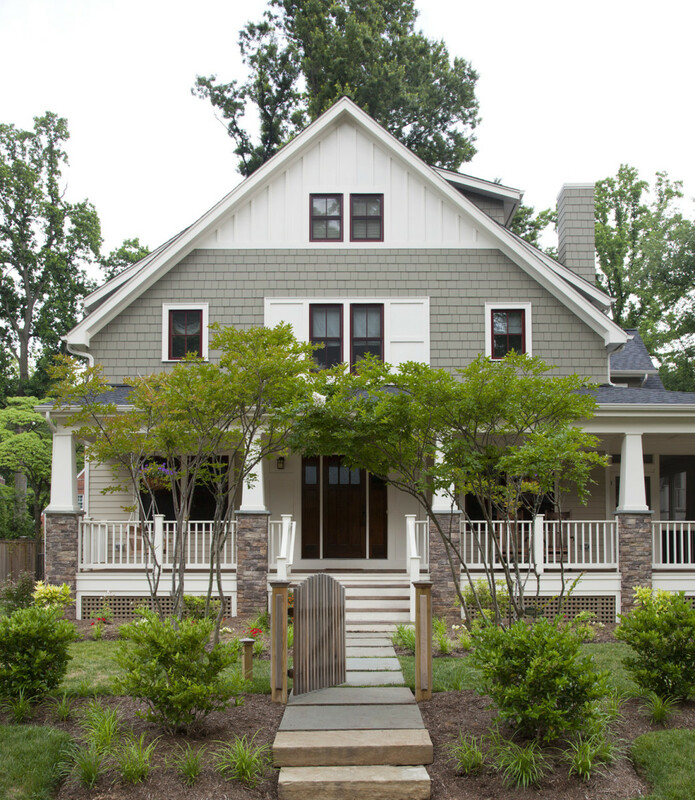 Rebuilt and expanded, a nothing box of a house has become a neighborhood-friendly bungalow with stone piers and stained shingles, and an updated Craftsman interior. 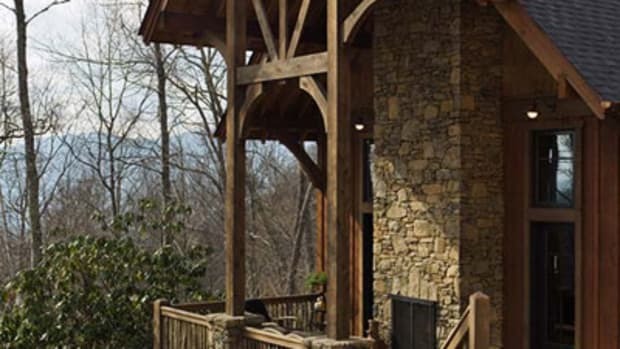 Craftsmanship and intimate spaces define a new house that’s part modern, part rustic, and part North Carolina vernacular.